Smallest footprint for Vision systems with little space. Quality solutions for your applications. Ultra slim low profile over molded design. Straight and right angle exit options for the camera. Integrated terminal block for convenient connections or to flying leads. Standard lengths 1 - 20 Meters. 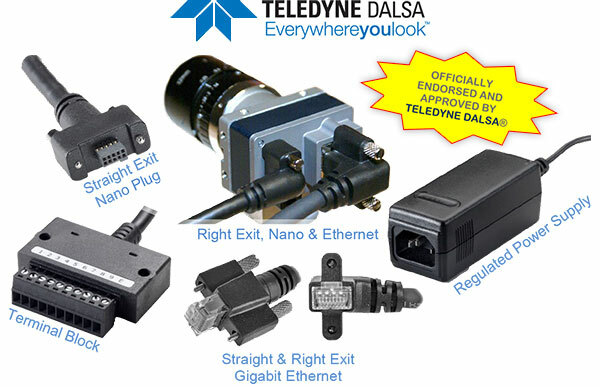 Straight & right angle options for Gigabit Ethernet cables. 12 VDC, Regulated desk top power supply.